"New England Toy helped me to design exactly the custom stuffed animal that we had in mind. 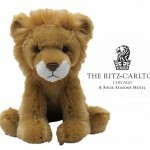 By including our logo on the plush we have created a great high quality item that will always remind our visitors about the Ritz-Carlton Chicago. New England Toy was professional, responsive and easy to work with. I look forward to having them help me on another project, in the future."